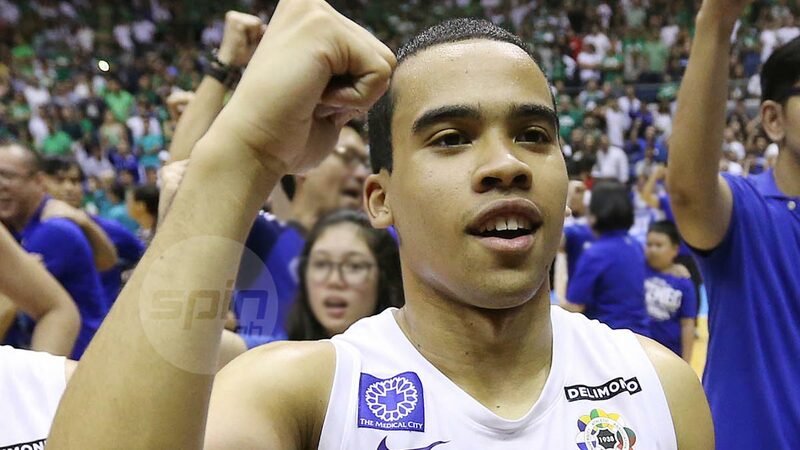 AARON Black will forego his fifth and final year with Ateneo. The son of Meralco Bolts head coach Norman Black announced his decision through a lengthy statement on his Twitter account late Tuesday night, ending his 14-year stay in Katipunan. "Growing up watching the Blue Eagles and their five-peat reign, I had always dreamed of donning the blue and white in the UAAP. I would stand in our driveway imagining myself hitting the last-second shot against DLSU to win the title or even try to copy Ryan Buenafe's cold-blooded three in the finals to seal the three-peat championship," it read. "Fast forward today, I leave the school where I grew from a boy to a man with two rings and a whole lot of reasons to bring with me as I go down hill and embark on a new journey to take on." Black, a 6-foot-1 guard, had a fruitful run in his first two years in the seniors' division as he established himself as a reliable sixth man under coach Bo Perasol. The 22-year-old, though, saw his numbers dip under coach Tab Baldwin, yet still remained as a reliable contributor in the handful of minutes he saw action on the floor in Ateneo's back-to-back title conquests. Departing from the Blue Eagles' nest, Black has now his sights set on continuing to improve his skills in the hope of entering the PBA.